Do You Think Buying A Home Is More Affordable Than Renting? The facts don’t lie. Rents will continue to rise, and mortgage interest rates are still at historic lows. Before you sign or renew your next lease, let’s get together to help you determine if you are able to buy a home of your own and lock in your monthly Do housing expense. Wondering If You Can Buy Your First Home? There are many people sitting on the sidelines trying to decide if they should purchase a home or sign a rental lease. Some might wonder if it makes sense to purchase a house before they are married and have a family, others might think they are too young, and still, others might think their current income would never enable them to qualify for a mortgage. Demand for rentals is still strong—but what does it look like today, a decade after the recession? According to America’s Rental Housing Report, recently released by the Joint Center for Housing Studies at Harvard University, demand is evolving. In the aftermath of the crash, demand exploded, and a large portion of rentals were single-family homes. Now demand, though largely out of necessity, is becoming motivated more by preference. Americans who can afford to buy a home, for example, are opting to rent. In 2016, 6.1 million (or 18 percent of) renter households brought in more than $100,000 a year, the report shows; in 2006, only 3.3 million (or 12 percent of) renter households earned $100,000-plus. Additionally, the makeup of renters is shifting. The majority of renters are single, but there are now more renter households that contain families with children than there are owner households that contain families with children (33 percent versus 30 percent). Moreover, the median age of renters has gone up to 40 years old, and one-third are 50 years old or older. Their backgrounds are diverse, as well: 20 percent of renter households are foreign-born, and 47 percent are minorities—a distinction from owner households, which are predominantly white. This changing demand has been met with higher-end (and higher-priced) units; in fact, 40 percent of all additions to the market in 2016 rented for $1,500 or more, up from 15 percent in 2001, while 18 percent in 2016 rented for less than $850, down from 42 percent in 2001. Lower-income renters, however, still, represent a significant share, and the discrepancy is extending them beyond their means, foiling any goal of owning. 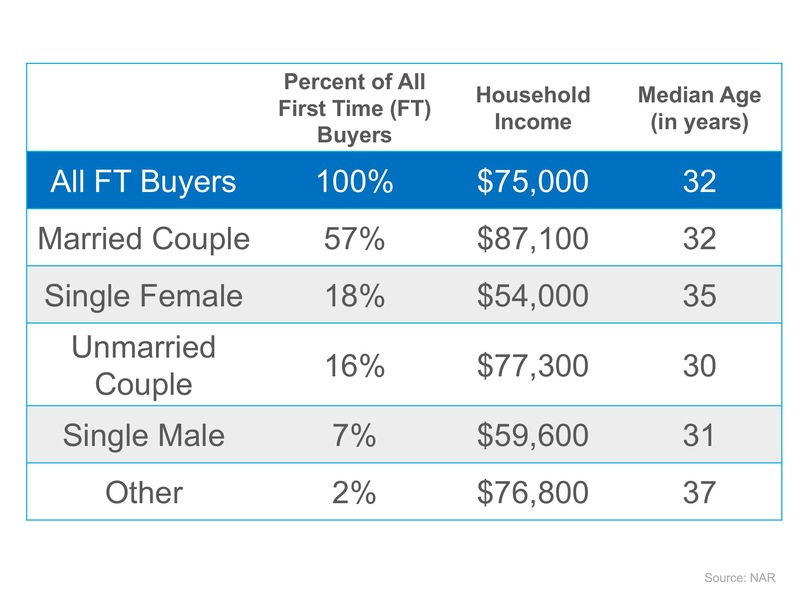 More income is needed to buy a home than rent one in the majority of markets: 29.8 percent of a household’s income monthly, versus 25.4 percent, according to data from realtor.com®. Affordability—the lack thereof—has other implications for ownership. Homebuyers facing limited options have investors to thank, at least partly, for the shortage of supply. “For the past 10 years, the number of single-family homes that are rented has grown steadily and remains near the highest levels ever recorded,” says Aaron Terrazas, senior economist at Zillow. “The combination of foreclosures and growing rental demand following the housing crash was an attractive opportunity for investors large and small who were able to buy foreclosed homes and use them to meet the rental demand. Annual home sales, markedly, were cut by 270,000 due to the single-family rental surge, according to an analysis by Zillow. With demand morphing and inventory strained, questions remain. To address the lack of lower-cost options, the Joint Center for Housing Studies calls for collaboration, including subsidies. Filed Under: Baby Boomers, Blog, Buyers, Featured Tagged With: Changing Demand for Rentals Strains Supply, Don’t Get Caught in the Rental Trap! First-time buyers (83 percent) were twice as likely to find working with an agent beneficial for helping to understand the buying process as repeat buyers (48 percent). In 54 percent of the sales, the agent was compensated by the seller only. Twelve percent were compensated by the buyer and sellers and 21 percent were compensated by the buyer only. Predominantly, buyers wanted help finding the right home to purchase (52 percent), followed by help negotiating the terms of sale (13 percent), and help with price negotiations (11 percent). These top three things are consistent among first-time and repeat buyers alike. Repeat buyers also wanted help with determining what comparable homes were selling for and first-time buyers wanted help with the paperwork, determining how much they could afford, and arranging financing. Single males were the least likely to want help negotiating the terms of sale and the most likely to want help arranging financing. Fifty-one percent of first-time buyers found their agent through a referral from a friend, neighbor, or relative and 37 percent for repeat buyers. Seventeen percent of repeat buyers used an agent they had previously worked with to buy or sell a home. Ten percent of first-time buyers found their agent on their website. Single females were the most likely to find their agent through a referral from another real estate agent. The top qualities buyers considered “very important” for an agent were honesty and integrity, knowledge of the purchase process, responsiveness, knowledge of the real estate market, and communications skills. Eighty-nine percent of buyers said they were very satisfied with their agent’s knowledge of the purchase process. Eighty-nine percent said they would definitely or probably recommend their agent to others. Ninety-one percent said they had already recommended their agent one time to someone else. An overwhelming majority of recent home buyers this year worked with a real estate agent to purchase a home. The tax bill has just been signed into law, and with CNN’s tax calculator, it’s possible to find out how much you’ll save (or lose) next year because of it. Tax Cut. Now what? So, how are people planning to spend their windfalls, which the Joint Tax Committee says will be worth $264 billion over the next two years? It’s an important question for the economy. Companies determine who benefits from tax cuts by whether they choose to put their extra cash into payouts to shareholders, wages and hires, or new investment. But spending by individuals accounts for more than two thirds of gross domestic product, so their decisions are arguably more important. We know a few things from past tax cuts. One, individuals don’t always notice the change — it’s just one of many factors that influence the amount of money in their pockets, including wages, rent, the price of gas, the cost of college. President Barack Obama passed a tax credit as part of the 2009 stimulus bill worth $400 per person, for example, but polls showed later that few people realized it. Two, we know that people spend tax cuts differently depending on how much money they make. Economic theory generally says that lower-income people are more likely to spend any extra cash they get, while upper-income people are already spending as much as they want or need to spend, so they just sit on the money. University of Chicago economist Owen Zidar found in a recent study that the theory holds: Places with a higher concentration of wealthy people saw less of an economic boost from tax cuts in the last 30 years than places with more poorer people. By that logic, this tax cut isn’t structured for growth. According to the Tax Policy Center’s calculations, people in the bottom 90% of the income spectrum will see less than a 2% tax cut in 2018, while people in the top 5% see about a 4% cut. We don’t know what’s going to happen with this tax bill. Consumer spending is already very healthy, with today’s report showing 0.4% inflation-adjusted growth in November, driven by car purchases, recreation, and utility bills. But when we asked readers, many of them said they’ll save the extra money, or use it to pay off loans. That makes sense. Consumer debt is now at an all-time high. Delinquency rates are creeping upwards for auto loans and credit card debt, while people are behind on their student loans at almost as high a rate as ever. If taxpayers decided to save the money, they’d be reversing a longstanding trend that only turned around for a short time after the recession, and putting themselves in a better position in case the economy stumbles. Either way, research shows that consumers probably won’t do much until the extra money actually shows up in their paychecks. For some people, that might happen as soon as February, after the IRS issues new rules for federal withholding. Others may need to wait until next tax season to see the difference. Here’s what people texted us in response to a question on our tax liveblog about what they’re planning to do with any savings after using our calculator to figure out what the tax bill means for their wallets. Taxes going down in 2018 and after-tax income going up 2.7%. Taxes going down in 2018 and after-tax income going up about 3%. Taxes going down in 2018 and after-tax income going up 3.1%. Taxes going down in 2018 and after-tax income going up 2%. Taxes going down in 2018 and after-tax income going up 1.9% . Taxes going down in 2018 and after-tax income going up 3.2%. Taxes going down in 2018 and after-tax income going up 2.7%; about $92 a month in after-tax income. Taxes going down in 2018 and after-tax income going up 4.7%. Filed Under: Blog, Buyers, Finance, For Buyers, For Sellers Tagged With: Buying A Home In Lake Livingston, Selling A Home In Lake Livingston, Tax Cut. Now what? The Federal Housing Finance Agency is asking interested parties to weigh in on its request for input on its possible change the the Possible Change To FHFA Credit Scoring Models. As part of the agency’s 2015 and 2016 Scorecards for Fannie Mae, Freddie Mac and Common Securitization Solutions, each enterprise assessed the potential impact of updating its credit score requirements from Classic FICO to another scoring model. The FHFA explained the assessment was limited to third party credit score models available at all three national consumer reporting agencies, also known as credit bureaus or credit reporting agencies. The assessment was also limited to mortgage loan applications received from lenders and mortgage loans acquired by the Enterprises. The credit score models independently analyzed by the Enterprises were – Classic FICO, FICO 9, and VantageScore 3.0. And VantageScore Solutions expressed its support for the agency’s actions, saying the government needs to challenge the monopoly of FICO. However FICO is also in support of the FHFA’s review process for its proposed changes, telling HousingWire that FICO Score has been the industry standard because it is trusted to be independent, predictive and reliable. The FHFA encouraged stakeholders to provide meaningful and detailed responses and to make those responses public whenever possible to inform broader public discourse on these issues. Several benchmark mortgage rates ticked up today. The average rates on 30-year fixed and 15-year fixed mortgages both were higher. The average rate on 5/1 adjustable-rate mortgages, meanwhile, also increased. Freddie Mac (OTCQB: FMCC) today released the results of its Primary Mortgage Market Survey® (PMMS®), showing average mortgage rising, but still lower than this time last year. We saw an initial rise in Treasury yield and, therefore, mortgage rates as financial market participants got their first chance to adjust their holdings based on the news that the Republican led tax bill made its way through the senate. Click here to get today’s latest mortgage rates (Dec. 7, 2017). 30-year fixed-rate mortgage (FRM) averaged 3.94 percent with an average 0.5 point for the week ending December 7, 2017, up from last week when it averaged 3.90 percent. A year ago at this time, the 30-year FRM averaged 4.13 percent. 15-year FRM this week averaged 3.36 percent with an average 0.5 point, up from last week when it averaged 3.30 percent. A year ago at this time, the 15-year FRM averaged 3.36 percent. 5-year Treasury-indexed hybrid adjustable-rate mortgage (ARM) averaged 3.35 percent this week with an average 0.3 point, up from last week when it averaged 3.32 percent. A year ago at this time, the 5-year ARM averaged 3.17 percent. At the current average rate, you’ll pay $470.52 per month in principal and interest for every $100,000 you borrow. Compared to last week, that’s $5.70 higher. Monthly payments on a 15-year fixed mortgage at that rate will cost around $700 per $100,000 borrowed. Yes, that payment is much bigger than it would be on a 30-year mortgage, but it comes with some big advantages: You’ll save thousands of dollars over the life of the loan in total interest paid and build equity much more rapidly. Why Is There So Much Paperwork When Getting a Mortgage? Why Is There So Much Paperwork When Getting a Mortgage? Why is there so much paperwork mandated by the lenders for a mortgage loan application when buying a home today? It seems that they need to know everything about you and requires three separate sources to validate each and every entry on the application form. Filed Under: Blog, Buyers, Featured, Finance Tagged With: Fha Loans, Financing, Why Is There So Much Paperwork When Getting a Mortgage?